After attending rehearsals last night for Vaughan Williams' "A London Symphony" which the Harrisburg Symphony will be performing here this weekend, I find this bit of news from Across the Pond important advice for American arts organizations who will be facing state budget battles regarding support for the Arts. Arts Council England chief executive Alan Davey has called on the cultural sector to help it make a “rational” argument to government about the importance of funding for the arts, in order to avoid heavy cuts in this autumn’s spending review. While frontline arts organisations look set to avoid significant cuts from the £66 million in savings that the Department for Culture, Media and Sport will have to find from its 2010/11 budget because of spending cuts across government, it will not be known until later in the year how arts budgets will be affected from 2011/12 by the change in the country’s leadership. Following June 22’s budget, the Conservative-Liberal Democrat coalition will undertake a Comprehensive Spending Review, with the results expected to be revealed for the DCMS and the arts council in the autumn. Davey said he believed that whatever government had come to power in the elections, there would have been a “hard case to make” for the arts because of the fiscal climate, but called on the sector to help ACE make that argument. “You have to argue as hard as possible, but not be unrealistic about the outcome,” he told The Stage. “[The sector] is helping because we are talking to them and they are talking to local politicians and making the case to politicians generally, so everyone is getting the message that arts spending is good spending, it’s hard-working spending, and it’s important to the life of the country. It’s not a trivial thing or an optional add-on that’s nice to have. While 'shroud-waving' may get our lawmakers' attentions (even for a limited span), facts and figures speak louder than shrouds (banners, to the Brits). I also love their naming this council the "Department for Culture, Media and Sport." While lumping Culture and Sports into the same bucket may seem strange to an American (many of whom would wonder why the Arts are included in the first place), at least the ordering reflects the long-range priorities of our society. This weekend, you can hear the Schumann Piano Concerto on the program with Daria Rabotkina and the Harrisburg Symphony conducted by Stuart Malina at the Forum, Saturday at 8pm and Sunday at 3pm. I thought it would be interesting to look at all the different things that were going on in Schumann's life - actually, his and Clara's lives - during the years between his writing what became the concerto's first movement and then finally adding the last two movements four years later. It's been very pleasant coming back to this piece after not having heard it for two years. There's something about not hearing a piece every month or so, then coming back to it after a long break where you can hear it afresh. Anyway, you can read my "up-close & personal" post at the Harrisburg Symphony Blog here. This past weekend was great - I took one of those bus day-trips into New York City which just happened to coincide with the last performance at the Met this season of Alban Berg's Lulu which I'd been blogging about prior to its radio broadcast the week before. 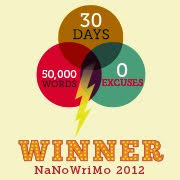 Hopefully, I'll get around to writing something about it soon. This coming weekend is the final "Masterworks Concert" of the Harrisburg Symphony's current season which features a work that has been a favorite of mine since my days in high school many (many) years ago: "A London Symphony" by Ralph Vaughan Williams. So I've written two posts over at the Harrisburg Symphony Blog. The first one is about the concert and the symphony itself, including photos and some performance videos, including a quite good one with an All-State High School Orchestra I'm assuming is from Georgia (it's only labeled the GMEA All-State). The second is a more personal recollection of the symphony and how one phrase never fails to bring a tear to my eye. The concerts are Saturday at 8pm and Sunday at 3pm at the Forum in downtown Harrisburg. Come an hour early to hear Truman Bullard give the pre-concert talk. Continuation of Alban Berg's Lulu: Lulu Under Lock and Key. In Frank Wedekind's original plays which Berg based his opera on, the character Alwa is a writer. Berg turns him into a composer. In fact, when he introduces Alwa as a composer, Berg quotes the opening of his own opera, Wozzeck, as a kind of inside joke. Inside joke or an autobiographical clue? In the third scene of Act One, Alwa gazes on Lulu, thinking she could become the subject of an interesting opera. 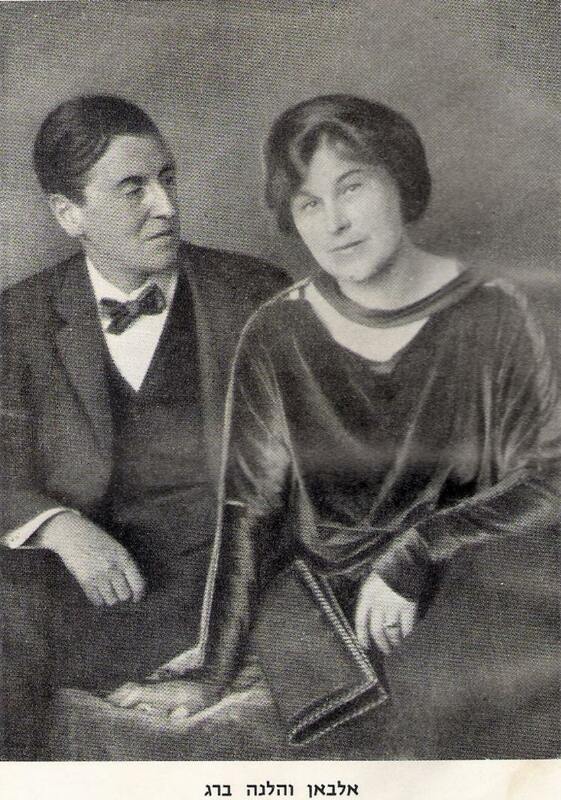 Berg met her in 1906 – a year after he'd first seen Wedekind's Lulu plays – but they were not married until 1911. In 1907, the year he officially concluded his studies with Schoenberg, Berg composed a setting of a poem by Theodor Storm, “Schliesse mir die Augen beide” which he dedicated to Helene (you can hear it sung here by Hermann Prey). It sounds more like Schumann than what we might expect from the composer who would later write Wozzeck but Berg was 22 then and it would be another seven years before he would begin work on what became his first opera, completed in 1922 when he was 37 and which wasn't premiered until three years later. Then, in 1925 – the year of Wozzeck's premiere which made him a world renowned composer – Berg wrote a second setting of Storm's poem, “Schliesse mir die Augen beide” which can be considered his first attempt to write a serial composition. You can hear a recording of the song here – quite different, by comparison to the song dedicated to Helene, but then what a difference 18 years can make. What happened in those years is anybody's guess, but when he was in Prague for a performance of "Three Excerpts from Wozzeck" in May, 1925, he stayed at the home of the brother-in-law of Franz Werfel, husband of an old friend, Alma Mahler, widow of composer Gustav Mahler. It was there Berg met Werfels' sister, Hanna Fuchs-Robettin. They met again when he stopped in Prague on his way to Berlin for Wozzeck's premiere. At this point, you could say the “idyllic domestic life” of the Bergs became a pretense. It is interesting that both composer and wife worked hard to maintain the exterior appearance of a happily-married life. Helene may not have known (or understood) the full details of the affair – or, if she did, she worked very hard to give the impression she did not. What must she have felt like if she had known that two people who were go-betweens for her husband and his mistress were two of her best friends, Alma Mahler and her husband, Franz Werfel? Did she suspect that Mrs. Fuchs-Robettin was something more than Werfel's sister and a friend of Alban's? Did Berg maintain the affair as a romantic fantasy that could not have succeeded any other way? Did he meet her and think she would make an interesting opera? When Berg wrote the second setting of “Schliesse mir die Augen beide,” it was ostensibly dedicated to celebrate the 25th Anniversary of Universal Edition, his publisher. There is no small irony in the fact the song is full of musical symbolism representing Hanna Fuchs-Robettin – musical cells based on her initials, phrase lengths based on “her number” (Berg was very much into numerology and astrology: her number was 10, his was 23). And yet it's the same poem he had set to music and dedicated to his wife during their courtship! This work was dedicated to his friend Alexander von Zemlinsky, the composer of the “Lyric Symphony” from which Berg took a musical quote and incorporated into his string quartet. Incidentally, the music is associated with the words, “You are my own.” There is also a musical quotation from Wagner's Tristan und Isolde – from the “Love Potion” Music – which, in case anybody's forgotten, aside from being one of the most pivotal works of the mid-19th Century and considered the seed from which atonality and serialism grew, was also a story about a man in love with another man's wife. It has also, my Hanna, allowed me other freedoms! For example, that of secretly inserting our initials, HF and AB, into the music, and relating every movement and every section of every movement to our numbers, 10 and 23. I have written these, and much that has other meanings, into the score for you. ...May it be a small monument to a great love. The score is marked “for whom and only for whom – in spite of the official dedication... every note of this work was written.” Berg combines her initials H.F. (translated into German musical notation as B.F. - the same way Bach's name becomes B-flat – A – C – B-natural) with his A.B. (which becomes A – B-flat) to form a melodic germinal motive of four pitches that generates most of the material on which the piece is based. He also points out various uses of their “secret numbers,” 10 and 23, which pervade many proportional relationships within the entire piece: the way he changes tempo from one to the next is usually through some multiple of either number or how a section where the tempo is ♩ = 100 lasts for 69 bars (the tempo is her number x 10, the length is his number x 3). Most surprisingly was the inclusion of a secret song embedded in the string parts. In their private score, Berg highlights the notes of the “implied” vocal line and superimposes the words of Baudelaire's “De profundis clamavi” (Out of the depths I cry), a private message shared only between the composer and the work's secret dedicatee. Not long after that – January 24th, 1977 – George Perle discovered Berg's annotated copy of the score that put all these questions into focus and proved there was indeed a secret programme behind this intensely personal music. Helene Berg who had played the part of the Grieving Widow since her husband's death in 1935 died at the age of 91 on August 30th, 1976, just before all this “unpleasantness” came to light. And suddenly there is a different light, then, on the question why she suppressed the third act of Lulu and forbid anyone even to look at it in the years following her husband's death (see the second post in this series). She knew the original manuscript score of the Lyric Suite was in the possession of Hanna Fuchs-Robettin, though she told one biographer it had been given to its official dedicatee, Alexander von Zemlinsky and was presumably in the hands of his heirs. When confronted with word from Zemlinsky's widow that they had never had the manuscript copy, Helene became greatly upset that it must have become lost. But at the time, it was already in her possession: she had her friend Alma Mahler prevail upon her sister-in-law to return it to her. But apparently Helene was unaware of the existence of the annotated score. Curiously, it was this fabrication that led Perle to interview Zemlinsky's widow about the score. 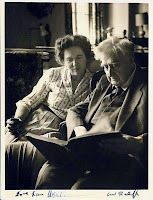 It's from her he discovered the real relationship of Alban Berg to Hanna Fuchs-Robettin which then led to the discovery of 14 of Berg's letters and the annotated score now in the possession of Hanna's daughter. Had this come out before, who knows what affect it may have had on Helene Berg? She also indicated that one of Alban's possessions was a gold fountain pen he liked very much and with which he composed all of Lulu as well as his next work, the Violin Concerto. It was, she wrote, “a gift from Franz Werfel.” What she didn't know or wasn't letting on she knew was the gift was actually from Hanna Fuchs-Robettin: Werfel was only the person who presented it to him, acting as his sister's agent. The final chord progression consists of three chords – an A major triad over an F in the bass; an A minor triad over an F in the bass; and then an E-A-B over an F in the bass. These are all based on various “tropes” of the main 12-note 'set' from which most of the opera's musical material is derived. The first chord is derived from a trope associated with Dr. Schön, the second chord from one associated with his son, Alwa, and the third chord from one associated with the Countess. These are the three characters who have been so tragically affected by their association with Lulu throughout the opera. The first chord ends Act One, after Lulu has coerced Dr. Schön into renouncing his fiancé and marrying her instead. It is also the chord that opens Act Two, when Dr. Schön is now Lulu's husband. The second chord ends Act Two, after Lulu has returned from prison and Alwa describes her body in musical terms in what is a markedly one-sided love duet. This is also the chord that opens Act Three, where Alwa has run off to Paris with Lulu to escape the Viennese police. The third chord ends Act Three, in which the Countess has given up her peaceful existence in Vienna to be near Lulu in what is clearly an unrequited relationship in the midst of the squalor of her life in a London slum, dying not far from where Alwa's body lays, in the room next to where Lulu's body lay, murdered by the man who (according to Berg's stage directions) is to be sung by the same man who sang the role of Dr. Schön. The final chord of the opera – the resolution of all three of these chords – has a B (or an H) in the upper voice and an F in the bass. B – F, Berg's musical motive for Hanna Fuchs-Robettin. While there are lots of B-F relationships in Wozzeck, written before he ever met Hanna Fuchs-Robettin – he thought it was prophetic that he met her in the course of traveling to hear performances of the opera – the specific use of the B-F idea is definitely not a coincidence in the Lyric Suite. And though it has less significance in Lulu, is there perhaps some secret going on beneath the surface of this over-heated tale about love and its tragic consequences? There's no suggestion Hanna was ever involved in the death of any husband – in fact, after Berg's death and the later takeover of Prague by the Nazis, Fuchs-Robettin and his wife fled to America where he died in New York City in 1949, presumably of natural causes; Hanna died in 1964. So far, I haven't seen Perle or anyone else come up with any convincing argument about Hanna and Lulu – at least, not to the extent of her involvement in the Lyric Suite. Perle even proposes the theory that the Violin Concerto may have a secret program that is not associated with its outward dedication “to the memory of an Angel,” inspired as it was by the death in the spring of 1935 of Manon Gropius, the 18-year-old daughter of Alma Mahler. He points out there are sketches to the Violin Concerto which include marginal configurations of various combinations of the numbers 10 and 23 – again relating to tempos, structure and phrasing of the music – but which nobody would have understood until the “secret score” of the Lyric Suite came to light in 1976 and realized the significance of those numbers. Was the relationship between Hanna Fuchs-Robettin and the composer really behind the Violin Concerto as well? Perle mentions his idea – that Berg wrote it as a Requiem for himself – which seems only to be conjecture but one based plausibly on the other “secret programs” Berg incorporated into the music of the last ten years of his life. Which came first, Hanna or the chorale? As Berg uses the chorale tune, even quoting Bach's harmonization of it at one point, he also quotes a Carinthian dance-tune. (You can hear it here, at the beginning of this clip, played by Louis Krasner who commissioned the concerto and premiered it in 1936 with Anton Webern scheduled to conduct!) It's interesting to point out that Berg's country home, which he called Waldhaus (“Woods House”), was on the Worthersee (Lake Worth) in the Austrian province of Carinthia and on the opposite shore of this lake is the town of Portschach where Brahms, who said the melodies abounded there so much one had to be careful not to step on them, wrote his 2nd Symphony and his own Violin Concerto almost sixty summers earlier. But it wasn't until 1982 that scholar Douglas Jarman identified the dance tune that Berg quoted – and it had a decidedly vulgar and totally inappropriate text given the context of the concerto. It was about sleeping with a girl named Mizzi who is Catholic (the narrator of the song is Protestant) but who will no doubt put away the rosary in bed. Okay... given Berg's predilection for quotes obvious and otherwise, is it likely he chose this tune just because it was a nice tune (which it is)? What about the coincidence of the girl's name Mizzi to the nickname given to Manon Gropius – Muzzi? Or is there another meaning? Mizzi is also a nickname for any girl named Marie. As Perle points out, in the opera Wozzeck, Marie had an illegitimate child by Wozzeck (with whom Berg identified himself, following his unfortunate experiences in the Austrian military during World War I). And when Berg was 17, he fathered a daughter with one of the household servants, Marie Schuechl, a daughter he acknowledged but of whom neither he nor Helene openly mentioned. Perle also says there is a 23-page letter Berg wrote to Hanna during the last year of his life – don't you love it? even the letter reflects “his number” – that he was not allowed to see. If Berg confided in Hanna about the program for the Lyric Suite and had written to her how writing Lulu with the pen she'd given him (wouldn't Freud have a field-day with that symbolism?) made him feel closer to her, couldn't he have done the same thing, telling her about what's going on behind the public veneer of the Violin Concerto? The composer may have thought, “they will never know.” And perhaps it would be better that way. Are things like this “insights”... or gossip? Probably both, since they affect the lives and minds of the creative artist and have some bearing, however tangential, on the works they create. I'm not sure this was a quote from Mrs. Berg's letters or the opinion of whoever said this, but the implication was Helene Berg didn't like Lulu because she was this unprincipled, immoral creature – Wedekind even introduces her as a snake (the symbol of evil and biblical temptation) in the circus-like prologue (and it just occurred to me that, while her name is Lulu, only Schigolch calls her that: the Painter calls her Eva). In her letter to Alma Mahler written after the premiere of the first two acts of Lulu, Mrs. Berg admits her opposition to the Wedekind plays as the source of a libretto, but after hearing the music, she changed her mind and called upon her publishers to immediately bring out what music her husband had completed of the opera before he too became one of Lulu's victims. But perhaps "that woman" was not Lulu but Hanna Fuchs-Robettin, whose greater involvement in her husband's life she was just beginning to comprehend? And she chose not to allow her to have the last word in her husband's musical after-life? There are letters to Alma Mahler that refer obliquely to Hanna, always mentioned in the third person or collectively as “those people in Prague” which doesn't always imply anything more than she didn't like them (a different economic class who wouldn't understand the financial burdens placed on Berg's preferred life-style when the ban on his music in Germany reduced his income considerably) but that would be naïve. In a way, I feel sorry for Helene Berg who worked hard and gave her life to make her husband's life comfortable enough to allow him to spend his time composing. All these years, I had viewed her as an impediment to my being able to enjoy the Third Act of Lulu without really understanding what it must have meant to her, whether I agree with her decision or not. Both she and her husband worked very hard to maintain the public image of the happily married couple: was his relationship with Hanna Fuchs-Robettin a fantasy image, creating a muse who would inspire his “poetic passion”? I am reminded also of Leoš Janáček's late-in-life unrequited “affair” with Kamila Stösslová which inspired so much great music during the last phase of his career, writing the Sinfonietta at 72. Was this what Berg's passion for Hanna really was or what he wanted Helene to believe it was? Or was she saying this to give that impression to Alma Mahler, Hanna's sister-in-law? Did Helene know that two of her closest friends – Alma and her husband – acted as go-betweens, carrying letters and gifts back and forth between Alban and Hanna? What did she think of them if she knew? or when she found out? And what did they think of her that they could do this to her behind her back? Perhaps the messiness of Berg's life – whether real or imagined – spills over into the romanticism of his emotional approach to something seemingly so academic and theoretically intellectual as atonality and serialism. Or maybe he's too immature to fully balance his artistic genius against his inner teen-ager (Helene points out, in the letter quoted above that Berg was spoiled both mentally and physically). Isn't that one of the images we have of Mozart, the film Amadeus aside, the creative genius with the penchant for smutty jokes, the grossly immature behavior and inability to deal with daily reality? And what of Helene? Unlike Alma who remarried quickly after Mahler's death (she was, in her own way, a serialist), Helene remained the Grieving Widow the rest of her life. There are also rumors – or perhaps facts – I haven't seen written in any authoritative biography or article on Berg or the fate of Lulu though often encountered as anecdotes until they seem like facts. We know Berg employed numerology – the magic numbers he associated with himself and Hanna – in his music (but then, in a different context, so did Bach). Would it be so surprising that the Bergs attended séances as part of their social life and that Helene Berg, distracted in her mourning by issues about posthumous premieres and an unfinished opera, may have used séances to communicate with her late husband? As a young man, Bernstein met Mrs. Berg and was shown the house (presumably Waldhaus?) which had been maintained like something more than a museum. The clocks had been stopped at the time of his death, his shirts were displayed in a glass case and taken out to be washed every month and the death mask was prominently displayed. When I was looking for it on-line, I found this: Bernstein had told this story to Frank Corsaro, a brilliant theater and opera director, who turned it into a play who then collaborated with Thomas Pasatieri to create an opera based on the story of Helene Berg. They called it Frau Margot in which a student who had once been the late composer's mistress enters the household of the grieving widow to become her companion. It was possibly a way for both of them to work their way through the mourning process. There is even a young composer who tries to navigate the intricacies of the human mind in order to claim the prize: completing the dead master's unfinished opera. How accurate an image of her this would be, I don't know: in the world of those who create art, art very often marks a fine line between what they create and the reality they create it in. Does this reality or escape from it have any bearing on the art they have left behind for us to ponder and enjoy? For some people, yes and for others, no. I can certainly listen to the Lyric Suite, an abstract work, and not be distracted by the underlying reality – supposed or otherwise – of its origins. Or I can listen to it, marveling how he managed to hide this or that in music that is emotionally involving but which can also be vague enough to make one wonder if you're imagining it, really. It might be more difficult with a work that specifically tells a story. Berg manages to imbue his operas with a great deal of technical brilliance – using a tone-row as a basis for the work, but creating variants (or 'tropes') of it to shape the music we hear for each of the characters: Lulu is a person who affects all the characters but she is also the musical source-set from which they all emerge. He uses old forms – given everything else, the opera is still essentially an old-fashioned “numbers opera” that is held together seamlessly by its innate inner structures. And yet there is Berg as Alwa, there is a reflection of Hanna behind Lulu (of course, except that Wedekind wrote it that way, shouldn't it be Alwa singing those last lines and not the Countess?) – how much more autobiographical information is there in the opera? One can read too much; one does not need to read anything at all. This is a continuation of the previous post, "Alban Berg's Lulu: Up Close but Not Too Personal." At what point and why did her attitude toward the opera change, when she decided to suppress the Third Act of Lulu? By the time she wrote it into her last will and testament, it had already become the understood policy with Berg's publisher: Helene Berg had the legal rights as her husband's heir to do so. Though it was reported shortly before his own death that Webern (see photo, left: Berg [l.] & Webern [r.]) had expressed interest in finishing Lulu, Adorno writes that, if Webern had said he would have to give up composing his own music just to orchestrate all of Bach's 'Art of Fugue' as he had once been asked, “he would not have felt differently about Lulu” (which was also counter to his own stylistic aesthetic). As it turned out, Webern's death in 1945 (at the hands of an American soldier during the post-war occupation of Austria) would not have given him much time to have accomplished much work on Berg's music, much less his own. What Berg left behind consisted of some 268 measures on 39 pages of full score plus another 122 measures used in the final movement of the Lulu Suite – out of 1,326 measures in the “short score,” about 30% of the entire act – plus some 70 pages (over 450 measures or about 1/3rd of the act) already prepared for the vocal score by Erwin Stein, another friend and former Schoenberg student, who had previously prepared the first two acts for publication and rehearsal, reduced from Berg's completed full score. In the “short score,” which included only sporadic indications as to what the orchestration ought to be, there are a few sections, as Berg himself had said, he had not filled in completely, mostly details of realizing the sketches for two ensembles which, I'm gathering from what Perle describes, consisted of “11 measures possibly three times” depending on how he wanted to treat repetitions of the material for Lulu and Géschwitz, and 20 measures in another scene where he indicates a wavy line and the direction “everybody murmuring” (this is referred to as the “Rhabarba ensemble,” or as it would be called in America, “Rhutabaga,” something actors are told to mumble over and over again to give the impression of a constant muttered undertone). In addition, there was a statement of the “barrel-organ tune” in the final scene which was unharmonized but, since it was to be a fairly basic barrel-organ setting, one would assume even a caveman could... I mean, even a freshman theory student could figure it out. There are sections that refer to previous passages which Berg had already orchestrated in the earlier acts and which were being restated: he frequently “recapped” whole passages in his quest for structural unity either between characters or comparable situations. This would be a matter of going back to the previous statement “and doing likewise” if not just recopying it outright. Compared to the missing third act of Schoenberg's Moses und Aron, this would seem to be a piece of cake – Schoenberg left no musical sketches at all to be realized so whoever would try to “complete” his opera had only a libretto to go by, no music! Here, in Berg's Lulu, there are only a handful of measures that need worked out! It's fairly clear there was a disconnect here and the publishers, though they were legally bound by Mrs. Berg's decision to suppress the material, knew something had to be done. It was no doubt not lost on Helene Berg that someday the laws of copyright would expire and she would no longer be around to enforce her ban which meant that anybody then could go in and, presumably, take the material to come up with their own realization. It is probably in that light that the publishers secretly engaged with composer and “Berg expert” Friedrich Cerha (right) to undertake the project, though of course legally they could not do anything with it publicly as long as Mrs. Berg was alive. And of course, wouldn't you know, she lived to be 91. Cerha had approached the publishers in 1962 and was actually shown the material in question. This in itself went against Mrs. Berg's directions: no one was even supposed to be able to look at this material, much less complete it! So why had they given Cerha permission but not George Perle a year later who only got to see Stein's incomplete vocal score for Act III (well, I suppose it's possible that Cerha was Viennese and Perle was not)? Perle spends a great deal of time discussing (indeed attacking) willful discrepancies between what Berg composed and what the audience often hears and sees, beginning with the decision to present the pantomime version of the final scene from Act Three with music from the Lulu Suite as an acceptable conclusion to the opera for so many years – true, in June of 1937, there was no time to realize whatever had been left to be prepared in time for the premiere, making it an expedient solution that was better than nothing. But forty years later when the Met unveiled its new production of the opera – still in two acts – how can this still be acceptable? Berg was also very specific about who sang what roles (for instance, the three husbands coming back in the final scene as Lulu's last three clients) which were not always followed: for instance, where is the dramatic irony to have Jack the Ripper (who murders Lulu) sung not by Dr. Schön (who was murdered by Lulu) but by his butler? And when the three-act version was finally premiered in Paris in 1979, why did Patrice Chéreau's production place the final scene not in a garret as Berg and Wedekind wrote it (the director wanted to avoid this late-19th Century cliché even though that is the time when the opera was set) but rather in the public rest room of an underground subway station? In a footnote, Perle at least compliments the first two American productions – at Santa Fé in 1979 and at the Met in 1980 – as being “among the notable exceptions” to directors' egos overshadowing the composer's intentions (a question that was a major concern for Schoenberg in the 1930s and is still a hot topic in our own day: witness the furor over Luc Bondy's treatment of Puccini's Tosca in his new Met production earlier this season). Though technically Berg's publishers went against Mrs. Berg's will after she died by allowing Friedrich Cerha's realization of Lulu's third act to be performed at all, the question still remains why did she impose the ban in the first place? Considering her response to the first two acts of the opera at the premiere, what did she discover in the third act that would make her go to such lengths to suppress it? And if it bothered her that much, why didn't she just destroy the “short score”? There were sketches to the opera that might have had “secret messages” or explanations in the margins (Cerha mentions them in his list of materials in his program note for the Boulez Paris recording) – was there anything there that would have destroyed the image she had worked so hard to maintain of the façade of the happily married couple? It was some time in the late-60s when I first met Lulu, not to be confused with a cartoon character of the same name: ironically, they both date basically from the same year – 1935. Berg died that year, leaving his operatic compilation of two of Frank Wedekind's plays incomplete. Other than the fact that, at one point, the old man Schigolch who may or may not be her father refers to her as “meine kleine Lulu,” the opera and the cartoon character who first appeared in the Saturday Evening Post in 1935 have nothing more in common. I was a college freshman when I found the then newly released Angel recording featuring Anneliese Rothenberger dressed up as Lulu in a dance-hall costume with lots of feathers and black silk stockings revealing a good bit of thigh stretched out on a divan, the object of attentions from a young man holding her one hand and kissing the other (which would be nothing compared to this poster or this one, today...). This 2005 CD-reissue features Lulu-as-Pierrot on the cover, instead. It was not the prurience of the cover or its implied story that drew me to buy this recording. I already knew Berg's earlier opera, Wozzeck, and was quite familiar with Schoenberg's Moses und Aron, having bought the recording when I was in 8th or 9th grade. So here was another incomplete opera by a student of Schoenberg's. If Moses was the sacred side of the equation, Wozzeck and Lulu certainly were the profane side. Initially, I had always preferred Berg's more passionately emotional approach to his music over that of his teacher and certainly over the intellectual rigors of his fellow student, Anton Webern. But I didn't know much of their music, then: I just found Berg “easier to absorb on first hearing” than either Schoenberg or Webern. I have since managed to see two different live productions of Moses und Aron in New York City a total of three times, one time splurging on buying the full score at the late and lamented Patelson Music House, which I called the Best Little Score House in New York. I have seen one production of Lulu twice at the Metropolitan Opera House when it was first staged there in 1977. That was the year after the composer's widow Helene had died – as most fans of Berg's music would probably add, “finally” – at the age of 91. But there would not have been time to bring out the long-repressed “unfinished” third act of the opera in time for the Met's new production. In fact, it wasn't until 1979 that the opera was finally presented in its entirety. Considering I was as fond of the opera as I was, I was looking forward to the television broadcast on “Live from the Met,” the broadcast premiere of the complete opera in 1980. As luck would have it, our local PBS affiliate in my hometown opted not to carry the broadcast – the explanation I was given when I wrote to complain: inappropriate for fund-raising. Whenever it was scheduled for radio broadcast – rarely, as it happened – I was always unable to hear it. Even at the the most recent outing of the opera, I could only manage to catch the very last part of the Third Act which I'd already heard, anyway. This part was usually tacked on to the two-act versions anyway, pieced together from the excerpt Berg had included in his “Lulu Suite” in an attempt to give the story some sense of completion. But this time, there was a technical problem that cut the broadcast off mid-scream (when Countess Géschwitz is stabbed by Jack the Ripper) so we could catch the last fifteen minutes of “All Things Considered” before it was time for Garrison Keillor's “Prairie Home Companion” – a problem with the computer prematurely switching channels, not a manual error – not that that many listeners were upset by this, though even years later I continue to hear about it from some who were. In the late-90's then, I bought a reissue of the complete three-act version of the opera recorded after its world premiere production in Paris, 1979, with Teresa Stratas in the title role and Pierre Boulez conducting. But yet, more than a decade later, I still hadn't listened to it. Somewhere along the line, my interest in it lost its momentum, for some reason. Let's face it: the story may not be suitable for children and may be a challenge for an “opera novice.” In the first scene, while Lulu is being chased around the living room by the painter who's doing her portrait as Pierrot, her husband, an older “medical specialist,” walks in on them and immediately has a heart attack and dies (this dramatic moment never fails to elicit a few chuckles from the audience). She then marries the painter who, in the second scene after he discovers from her benefactor (read “sugar daddy”), Dr. Schön, that she has had quite a number of affairs in her past life, commits suicide. She then coerces her benefactor, Dr. Schön, into marrying her. In the first scene of Act II, after he discovers his son Alwa (not to mention an acrobat, a school boy and Countess Géschwitz as well) has just made a pass at her, Dr. Schön hands Lulu a pistol, ordering her to kill herself. She shoots him. A musical interlude between the two scenes of Act Two accompanies a film sequence, in Berg's original conception. Lulu is taken off to prison where she contracts cholera. Now, with the help of the acrobat, Alwa and the Countess who infects herself with cholera, gradually transforming herself into Lulu, she is then able to escape from the prison hospital disguised as the Countess. As the live action resumes, she returns to Dr. Schön's home. Alwa continues to profess his love for her: what has the potential to become a heated love duet stops dead in its tracks when Alwa leads her over to the sofa where she sings the immortal line, “Is this not the sofa on which your father bled to death?” This ends the second act. The third act, we were led to believe, was unfinished. But we know that Lulu and Alwa, joined by old Schigolch, the man who may or may not be her father, run off to Paris where a variety of misadventures has them escaping just one step ahead of the police. They go to London. Without money or resources, they rent a beggar's garret while Lulu, once the beautiful cabaret dancer, now works the streets as a common prostitute. Since Berg figured it would be difficult for the opera to find any performance outlets in Nazi-controlled Germany or in Austria, he constructed a suite from the opera which included a large stretch from the ending of the third act. Over this music, a summary of much of the action had been superimposed in a kind of pantomime: this was the solution for its premiere in 1937 and has usually been followed in every production or recording since then – at least until the Third Act became available. In 1910, Arnold Schoenberg painted this portrait (see right) of his student, Alban Berg. They were to remain close friends even after Schoenberg left Nazi Germany for the United States. Berg dedicated his as yet unfinished opera Lulu to his former teacher as a 60th Birthday present. 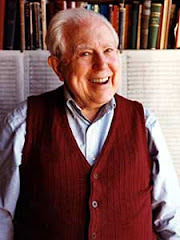 George Perle, an American composer and theorist who became an expert on the music of Alban Berg, published a two-volume work on “The Operas of Alban Berg.” You can preview “Volume One: Wozzeck” here and preview “Volume Two: Lulu” here. About six years ago, browsing through the music section of a local used book store, The Midtown Scholar, I found a copy of George Perle's volume on Lulu, published in 1985, nearly 300 pages of in-depth musical, dramatic, structural and historical analysis of the work. In it, he explains the development of the opera's concept, the transformation of Wedekind's two plays, “Earth Spirit” and “Pandora's Box,” into a single libretto, the different ways Berg adapts his teacher's serial concepts to portray his different characters and the interrelationships between the characters, the dramatic action and the music throughout the course of the whole opera. Finally listening to my CD of the Paris production on DG after reading most of Perle's analysis – which I find fascinating and very important to my appreciating the work as a composer – I'm reminded that most of this is immaterial to a music-lover who just wants to follow the story and enjoy the music. Though it may look (and sound, to the uninitiated ear preferring Verdi or Wagner) like a very complicated work, the score's complexity is a natural part of the dramatic expression of the story – despite its ability to provide hundreds of pages of academic analysis, the music is still first and foremost music: nowhere does Berg create an abstract world for the edification only of those who can comprehend the rigors of technical constraints placed on it by the serial system. In many respects, it is no more dense than Wagner's Tristan or Strauss' Der Rosenkavalier but since most of us are more familiar with those styles, this density may become off-putting. Listening to it for what it is and not what it isn't will help both to the listener and to the composer. For this post, my primary interest is the story behind the long wait from the time of Berg's death on Christmas Eve, 1935, to the first performance of the complete opera in 1979. Most of this material is taken from Perle's commentary on the events and correspondence – he was also directly involved in the quest to bring the third act out into the open. When the vocal score for the first two acts was published and the opera premiered as a “torso” not long after Berg died, it was announced that the composer had in fact finished composing the music: what had to be completed was orchestrating it, transferring it from what is called the “short score” (or reduced score) to the final “full score.” The third act's vocal score was already being prepared and, the publishers announced, would be made available soon at a later date. But two people were involved in the delay of this realization, directly or indirectly. The first was Adolf Hitler. 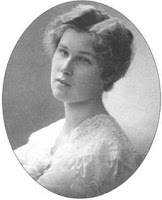 The second was the composer's widow, Helene Berg. As the Nazis gained control of Germany and then Austria, Berg was one of many composers whose music was “forbidden.” If Wozzeck, the story of a down-trodden nobody (or, depending on your point-of-view, a proletarian Everyman) had been banned after a decade of success – it gave Berg a comfortable enough living – there was little likelihood they would see any redeeming quality in his latest opera. Though he'd been familiar with Wedekind's two plays since 1905, it wasn't until 1928 that he began sketching a libretto, combining them into a single work. At the end of the summer the following year, the music itself began taking shape. 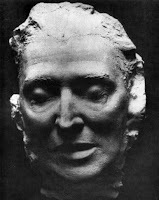 During the summer of 1932, he had hoped to have the opera finished but in addition to some annoying dental issues, a throat infection and the stress of his wife caring for her schizophrenic brother, Berg was stung by 20 to 30 wasps on his head, neck, arms and legs “that laid me out for a week.” Unable to find the quiet time he needed to compose, there was no way he could finish the opera for its projected October premiere. Letters from the spring of 1934 indicated that Berg had finally finished the opera except for “some things that are only hastily sketched in, to be worked out later.” It would take him maybe two or three weeks to go through and retouch some things here and there before starting on the orchestration. The plan, now, was for a premiere during the 1934-35 Season. Then came a letter from Berlin saying that a production in Germany of Lulu was out of the question. So in order to familiarize a potential audience with music from the opera, Berg crafted a five-movement orchestral suite with a soprano soloist which was premiered in Berlin in late November. Despite whatever the government's attitude may have been about his music, the concert was sold-out and the response enthusiastic. Only the government-controlled newspaper was negative. Meanwhile, Berg continued working on the orchestration of the rest of the opera. But then early the following year, Louis Krasner, an American violinist, commissioned him to write a violin concerto for him. This didn't actually begin to take shape until after April 22nd, 1935, when Manon Gropius died. She was the 18-year-old daughter of Alma Mahler, one of the Bergs' oldest friends (after Mahler's death in 1911, she married the architect Walter Gropius and after they divorced in 1920, she married the author Franz Werfel). The Violin Concerto was dedicated "to the memory of an angel” and was completed fairly quickly that summer: the “short score” in mid-July; the full score on August 11th. Not long after that, Berg was stung again, this time on the lower end of the backbone, which developed into a painful abscess. This led to a further problem with boils that continued bothering him even into the end of November, forcing him to miss performances of the Lulu Suite as it made its way around non-German Europe – Prague, Geneva, Brussels, London and again in Prague. On December 11th, he managed to attend the first Viennese performance of the Suite but six days later, he went into the hospital where they discovered the possibility of an abscess in the region of the kidneys. He was given a blood transfusion (he joked about it, wondering would it change his compositional style if the source of the blood had been a composer of operettas). On December 22nd, his wife Helene wrote to Alma Mahler that “he is very weak and being given whatever drugs are needed to strengthen his heart. In spite of everything, his mind is clear...” But he died a few days later in the early morning hours of Christmas Eve, eight weeks short of his 51st birthday. So basically, after he finished the Violin Concerto, he never had a chance to find the concentration needed to complete scoring the opera. Both works were given posthumous premieres the following years – the Violin Concerto in Barcelona (April, 1936) and Lulu (or at least the first two completed acts) in Zurich (June, 1937). Given that no German or Austrian opera house would dare produce the opera – despite the enthusiastic response the Suite had received in Berlin in 1934, fifteen minutes of cheering, stamping ovation by a packed house – the publisher stopped production of the third act's vocal score after some seventy pages had already been prepared. It was becoming unfeasible to move forward with plans to complete the opera: Arnold Schoenberg, having been forced to leave Germany as the Nazis gained more power – and in the process, he reconverted to his Jewish faith – offered Berg's widow his services, gratis, in completing his former student's work, even though he was now in America, barely able to make ends meet on his own and had his own unfinished opera – Moses – to worry about. Eventually, he decided he would be unable to do this, though not because of any compositional qualms (there was very little composing that needed to be done, only scoring the completed sketch for orchestra). According to the correspondence, there were anti-Semitic directions about one of the characters in the first scene of Act Three, the banker, which bothered Schoenberg and he felt he would be unable to participate in the project. Perle points out that others felt though the character was Jewish and perhaps stereotypically over-drawn, the commentary from the other characters – who will do business with him, accept his social invitations, eat his food and enjoy his company until things go wrong and, through no fault of his own, their money is endangered – imply the real issue here is anti-Aryan, a sort of fair-weather acceptance until some excuse needs to be found and they can then blame it on his being a Jew. Regardless, Schoenberg declined. Other names were suggested and they, for their own reasons, declined. The war and then its aftermath, rebuilding Europe in its wake, put a lot more than Berg's opera on hold. The opera was not heard again until 1949 first with a concert performance and then a staged production, both in Vienna. The German premiere took place only in 1953, but still nothing had been done about the third act. Then a very strange thing happened.